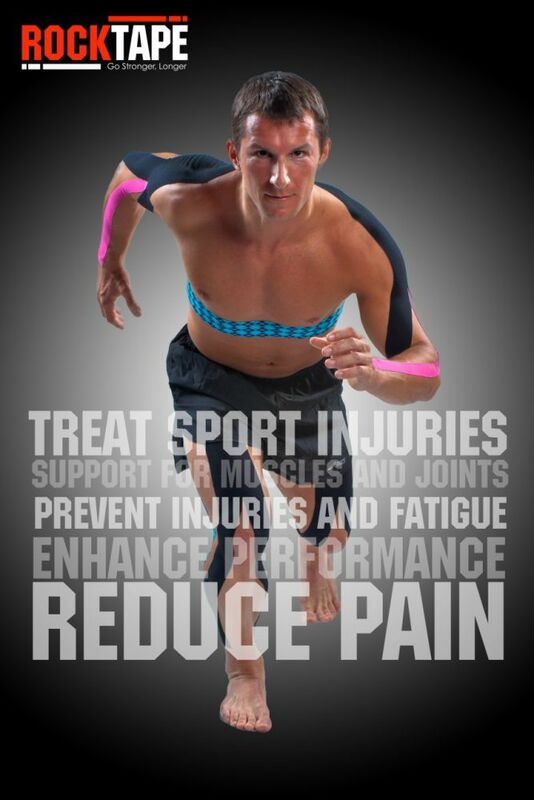 RockTape, is a special kind of tape known as kinesiology tape. First used by acupuncturists and chiropractors in Japan, today kinesiology tape is used by practitioners throughout the world to treat injuries and improve sports performance. We here at Performance and Wellness Chiropractic are certified in RockTape's Fascial Movement Taping (FMT). FMT introduces the concept of movement therapy and enhancement via functional kinesiology taping methods. Clinical applications for the purposes of rehabilitation are reviewed and then expanded upon in order to apply tape in a manner that improves movement and function.